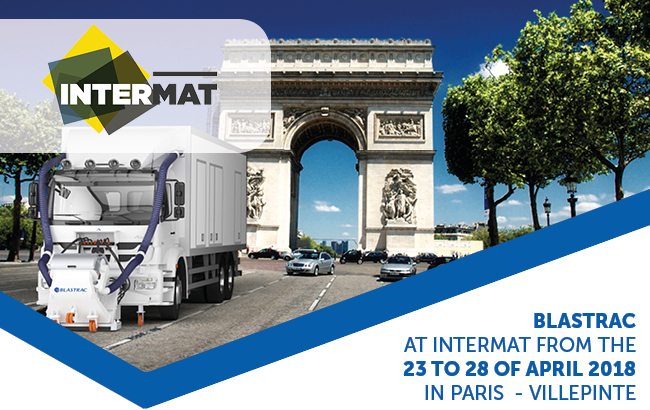 Once again Blastrac will be at INTERMAT, the International Exhibition for Construction & Infrastructure, from 23 to 28 April 2018 at Paris Nord Villepinte, France. Our latest news & innovations will be introduced at this European preview. Visit us on stand E6 B88! We will welcome you onto our demo trailer to exchange views on the surface preparation industry in a convivial & welcoming space. Visit us also on stand E6 B21 at the World of Concrete Europe! You will have the opportunity to discover our machines in action on our demo area. VISIT US AT INTERMAT ON STAND E6 B88 & STAND E6 B21!